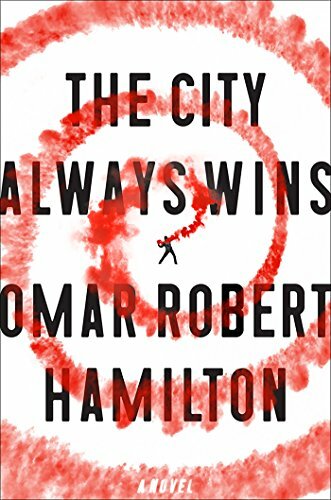 Omar Robert Hamilton’s debut novel, The City Always Wins, capturing Cairo in the convulsions of the revolution, brought back a bad memory of Srinagar. In the summer of 2010, one still, sickly hot evening in the capital city of Kashmir, I found myself in the working-class neighborhood of Batamalyun. The modestly built house of bricks formed the dead-end of the dust street. I went inside and found Fayaz Rah, the 39-year-old fruit vendor who I wanted to interview. A solidly-built man, he sat cross-legged in the sitting room, his back pressed to the wall. “At eight,” he said, “one does not understand what protests during a curfew could mean.” Two weeks ago, on the afternoon of August 2, his eight-year-old son, Sameer, had left the house to play with his friends. In a back alley, Indian paramilitaries, angry that since 2008 Kashmiris had been protesting and hurling stones and slogans of aazadi, independence, at them, caught Sameer and beat him with bamboo sticks. The City Always Wins follows Khalil, an American-born young man of Palestinian origin. A lover of revolution and jazz, he, and a group of lefty friends, tirelessly film videos and record interviews of the revolution to upload a website called Chaos. Hamilton, a film maker by profession, arrests readers with auditory and visual details of the city flooded with democratic rage against Hosni Mubarak’s protracted presidency. But the novel is not just an intimate act of witness to the outpourings of the people protesting in Tahrir Square and the military brutalities and massacres that followed; the novel’s strength lies rather in the moments that unfold within the quiet of houses rather than the roar of the street, for instance, when Khalil, accompanying a French documentary crew talks to the father whose son has been killed. Abu Bassem’s dignity is somehow unbearable. He doesn’t cry or curse or swear vendetta. But he is not defeated. Khalil feels somehow animal in contrast to the older man, his stillness, that he must be enraged for him, that he must do the crying, the stumbling. Journalism and reportage are arguably more suited to the act of witnessing, while fiction is a place for quieter recollection and contemplation of the self and what has become of it through said witnessing. Throughout the book, Hamilton’s voice has two distinct and somewhat conflicting tendencies. One is the desire to be a direct witness to the revolution, to report the street without the façade and filter of characters. The other is to analyze the act of witnessing by measuring the impact it has had on the lives of the characters and the decisions they make. With its quickly shifting points of view, its staccato vignettes and serrated phrases soaring into lament and lyricism, City reads best in those sections where the intensity of witnessing is informed by the mood brought about by the psychological transformation: the opening passage, for instance, wherein Khalil’s girlfriend, Mariam, grapples with the bodies remorselessly “crushed under tanks” during the march to Maspero. The urgent rendering of sensual details hits one like the miasma of death hanging in the morgue. She stopped counting the dead an hour ago. These corridors are so compressed with bodies and rage and grief that something, surely, is going to explode. Everywhere are the cries of a new loss, a shouted question, a panicked face, a weeping phone call…Blocks of ice are melting between the bodies of the fallen, vapors whispering off the flesh of the silenced. Hamilton has channeled the effusive energy of the revolution to create a narrative of stunning fragments. But because the desire to be a witness outweighs the desire to put the witness to a novelistic examination, the fragments hardly coalesce to constitute a novel. The joy lies in reading the vignettes individually, lucent and often phantasmagorical, which fail to string together to make a seamless sustained narrative in which one could follow Khalil’s physical and psychological journey through the potentially hurting landscape of the city. The result is that Khalil, though unhinged, dispossessed and selflessly utopian, is not realized to the full arc of his rage. With the rise of Mohammed Morsi and the Muslim Brotherhood to power, the energies of the revolution are frustrated. But as the need to replace Morsi becomes clearer and Cairo begins to cheer for Abdel Fattah el-Sisi, Khalil feels lost and misdirected. After breaking up with Mariam and witnessing the death of a close friend, he returns to New York. Hamilton recreates chunks of Khalil’s beleaguered consciousness with the fidelity of an impressionist, and one’s knowledge of Khalil at the end is almost the same as it was at the beginning. Between him and the reader are the smoke-blurred, blood-spattered streets of Cairo longing for liberation, the city itself the most vocal of all the characters. Khalil’s voice is interchangeable with the voice of other characters. It is the authorial voice that dominates and diminishes him. At times, the dialogue is too dramatic to be credible. Novels make certain demands as to how to properly employ memory. To fictionalize a bad memory like the one recounted at the beginning of this essay, mere impressionistic rendering of how the boy was bludgeoned to death will not do. One must put to the novelistic scrutiny the complex churning within the self (of the father) the killing set in motion and find ways to trace the transformation over a period of years in the language of gestures, human, silent and concrete. One must dwell in the darkness of the sitting room that’ll haunt the narrator, his horror and shame untold, as he walks the roads of the city on which Sameer once walked and played. The artist, unable to tolerate reality, forgets long and forgets strong. The mind with its uncanny mechanisms, buries the bad memory under consciousness, until a familiar color or caress, a smell or a tone calls it all back again, unwarranted, and in the febrile beehive of imagination, the bright buzzing bits of memory curl into the shape of the novel. Hamilton does not forget enough what he has witnessed recently and literally. It is the memory itself that is so visceral and brutal and excessive that, in its ethereal rendering, he succeeds to shock and harangue, creating a vivid illusion of fiction. Feroz Rather is a doctoral student of Creative Writing at Florida State University. His work has appeared in The Rumpus, The Southeast Review, Berfrois, Caravan, and in Mad Heart, Be Brave: On the Poetry of Agha Shahid Ali published by Michigan University Press. The Night of Broken Glass, his novel in stories, will be published by HarperCollins in 2018. Do we want something different, something new, some sense that, with the same words, in the same world, we might, through the workings of fiction, find a way to rethink reality -- and to find the familiar strange, the world an ever bigger, more interesting place? Hostetler, the Curator of Photography at the Milwaukee Art Museum, has assembled the exhibit and accompanying catalogue Street Seen: The Psychological Gesture in American Photography, 1940-1959. Focusing on the work of Ted Croner, Louis Faurer, Robert Frank, William Klein, Saul Leiter and Lisette Model, Hostetler considers photography’s impact on Americans as they became their own subjects through a medium that transitioned from journalistic to artistic. Looked at as a whole, as presented in the catalogue, the mostly black and white images share a fragmented, reflective visual sheen that contrasts people with the manufactured patterns of cityscapes and material commodities. There is activity throughout being generated, resisted and imposed. Saul Leiter’s photographs, several of them color prints, are filled with these active, material forces, viewed from between two wooden boards or from underneath a canopy, the indifference of the objects minimizes the human figures, and as they exist in that moment they seem aware and resigned. Streaks and decay are superimposed on the people; they are little more than the negative space of the shapes and forms that surround them, surrendering to something unknown, not yet named, but felt. Hostetler writes of Leiter’s work, “[His] aesthetic philosophy was a firm belief in art as an activity rather than a product – a verb rather than a noun.” It is no surprise that these photographers were friends with painters like Jackson Pollock and Willem de Kooning, both of whom executed work that captured the same tension of activity. The action worked in both directions, emanating from the artists and their physical techniques as well as their subjects. But unlike abstract painters, these photographers were up against the expectations of photography as a medium that showed how the world really looked. Through these lenses, the subject matter goes beyond objects, echoing the profound immensity of the atomic bomb and concentration camps burrowing into the American psyche. By virtue of developments in camera technology, these photographers were not only innovators but they also played a role in solidifying photography’s status as high art. In doing so, the viewer’s relationship with photographic images and concepts of reality shifted – reality was now a potential; it was not certainty. The integrity of journalistic photography as some absolute truth crumbled with the realization that these machines and developing and printing processes challenged familiarity, creating a self-conscious awareness of photography’s potential to unlock unknown or denied truths. During this era, photography’s popularity, and its ubiquitous presence, totally altered visual aesthetics. Examining the medium in the late 1970s, Susan Sontag wrote in the collected essays that comprise On Photography: “Photos, rather than the world have become the standard of the beautiful.” Of course, “beautiful” is highly subjective, but that’s the point, and it was something these photographers understood. The recurring words conjured while paging back and forth in Street Seen: transient, time, momentum, isolation, reflections. These photographers captured moments otherwise ignored, and in doing so captured a more self-aware culture that was also increasingly unsure about itself. Lisette Model’s transformation of commuting legs into bodiless vectors and William Klein’s grainy exploitations of shadow and light detail momentum and transition, converting people to conduits for these forces. This is the great honest beauty found in Street Seen.